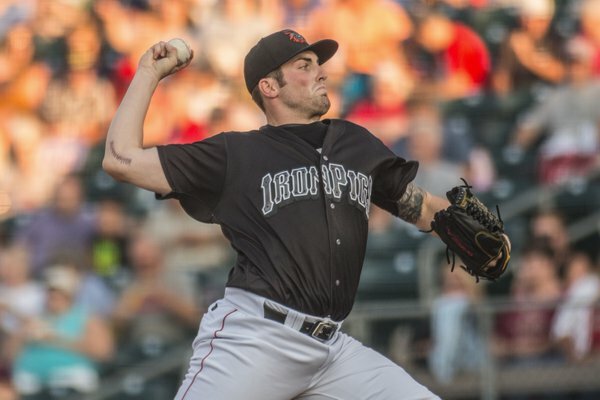 With the somewhat surprising move of Asher to the DL yesterday, we knew there would be reinforcements coming so that we’ll have enough arms to for tomorrow–whether it was a spot starter or another ‘pen arm, we didn’t know. Reading is in town right now as well (convenient for player movement–not so much for those of us in the “222 Club” who have season tickets both places–but I digress) so I thought perhaps they’d wait until tomorrow to see how the two games go this evening and if either or both are impacted by weather. I never for a minute thought they’d scratch Lively for tonight to bring him up. That will come in due time, and once he gets here he’ll stay–not just for a spot-start unless it were an emergency. He’ll throw mid-90s with a slider, cutter and change as of the last scouting I could find. He’ll attack the strike zone–if he’s missing bats he’ll get the Ks, if not he’ll get hit. He doesn’t seem to have the reputation of a guy who will beat himself with walks: Either you’ll beat him or he’ll beat you. And, he’s a Harvard guy, so it’s unlikely you’ll out-smart him, either. It’s hit him or go sit down. I don’t see that he’ll eat a ton of innings over the next two days, so perhaps he’ll get in tonight if we play, freeing up the long-hair relievers to pitch tomorrow.